Toyota of North Charlotte proudly offers automotive products and services to our valued NC customers. No matter what you’re looking for, we can likely help you find it at our dealership! We pride ourselves on our excellent customer service – at our dealership, you’re family. We carry a comprehensive line of Toyota vehicles, including the Toyota Camry, Corolla, Rav4, Prius and Tundra, along with a wide selection of other Toyota vehicles. Whether you’re seeking a used car in Charlotte or a new Toyota vehicle, we’ve got something for everyone, and we’re committed to helping you drive off of our lot happy! Why Toyota of North Charlotte? Our family-owned Toyota of North Charlotte dealership – formerly known as Toyota of Lake Norman – opened in October of 2003. We have an A+ Accredited Business rating with the Better Business Bureau of Greater Charlotte and are proud to have received the President’s Award in both 2005 and 2008. We’ve also received the “Outstanding Performance and Overall Excellence in Dealership Operations” award in 2004, 2005, 2006, 2007, 2008, and 2010. We take this honor very seriously and constantly seek to ensure that we’re upholding our title and providing our customers with the best buying experience possible. 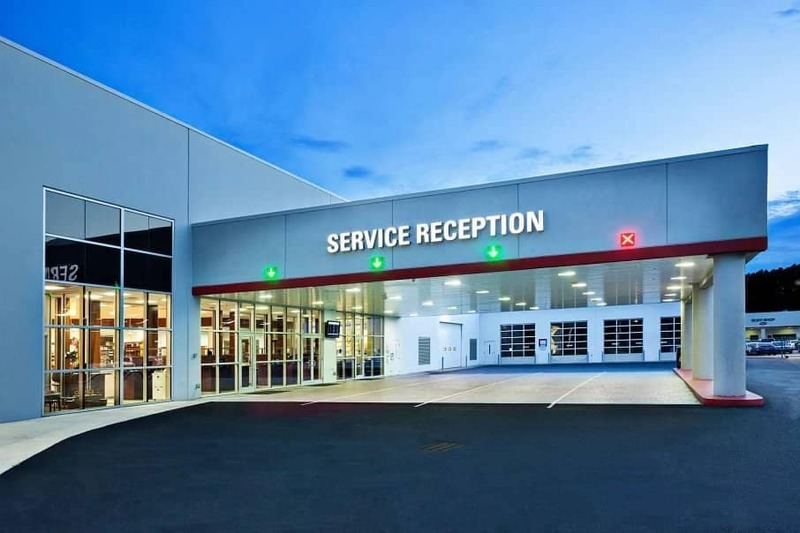 With 132 employees, 29 service bays, and 4 high-speed oil change pits, we’re committed to serving Charlotte and the surrounding areas with not only the best new and used vehicles, but also with excellent auto repair and auto service. We strive to make sure you have an accommodating and friendly atmosphere in which to shop. Our sales associates are knowledgeable and here to help you find the vehicle that’s perfect for you, and we have a skilled team of Finance Associates to get you our best deal on your Toyota. As a dealership that serves Charlotte, NC and the surrounding areas, we’re passionate about community involvement. Every year, we offer free limited service to customers who bring in nonperishable food for the homeless, and toys for the Marine-sponsored program “Toys for Tots”. We donate to various school programs on a regular basis in our strong support of education and local schools. In 2006, Toyota of North Charlotte was featured in Times Magazine for our involvement in local high school scholarship funds, and helped to jump start a project to shape students’ futures. 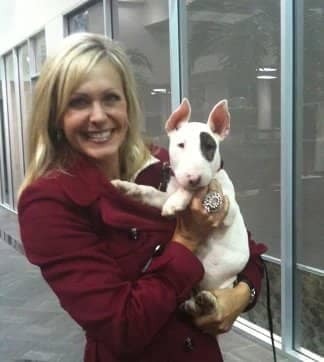 In September of 2011, we were chosen as the dealership to present a 2011 Toyota Highlander Hybrid Limited to the North Mecklenburg Animal Rescue as part of Toyota’s “100 Cars For Good” program. The Toyota Highlander was donated to safely transport the shelter’s animals to their vet appointments and new homes. We additionally set up donation boxes so customers could bring in pet food, beds, toys, and other supplies for the homeless animals at the shelter, and held a pet adoption during the celebration to find homes for our community’s furry friends in need! 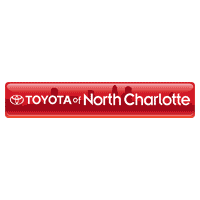 Toyota of North Charlotte is dedicated to providing resources to our community, and we plan to remain a positive and influential force for many years to come! We sell original Toyota parts to keep your car in tip-top shape, and offer two comfortable seating areas and a children’s play center to keep your wait enjoyable. You can even pop over to our viewing area to watch your car being serviced while you wait. 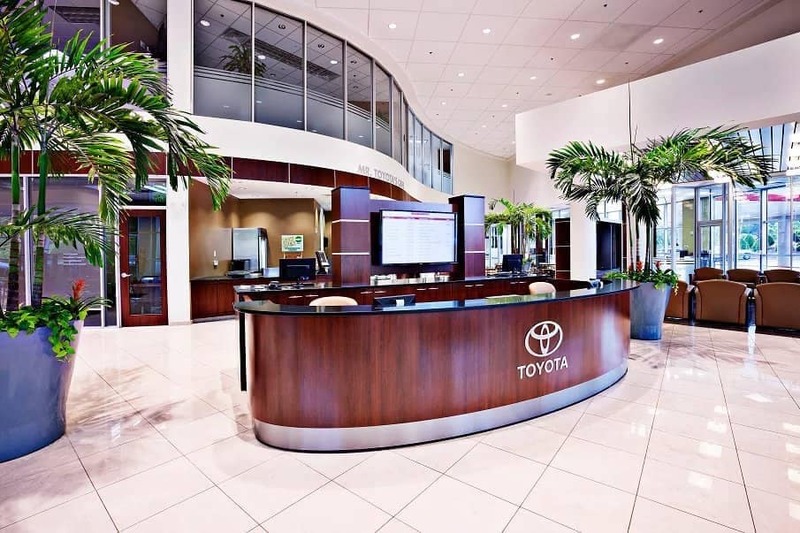 We have a service center full of highly-skilled Toyota technicians to get your repairs done quickly and efficiently, as well as to help you keep track of scheduled maintenance and ensure you’re getting the best performance possible!We’re conveniently located near Charlotte at 13429 Statesville Road in Huntersville, NC. Come by today to get more information and test drive the car of your dreams!